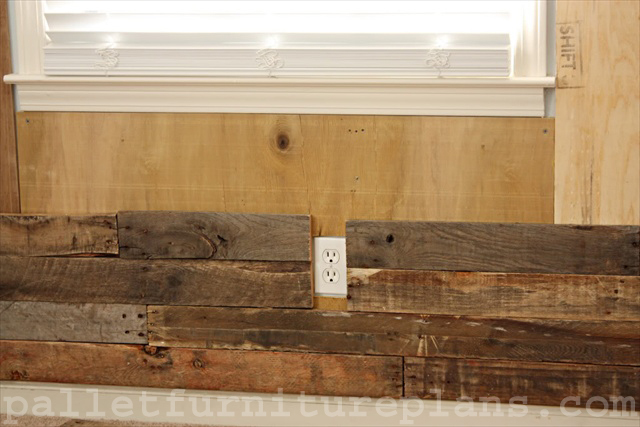 Pallet wood wall is a great idea if you want to hang the extra things in your room or your house. They look functional and cool if you put them up neatly. 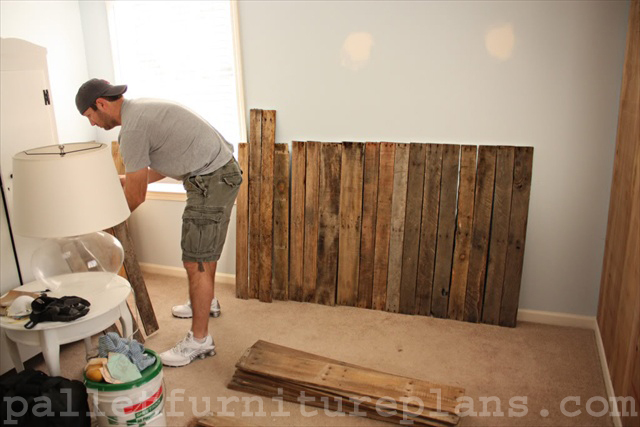 You need to gather the right material for it and it can be done in couple of hours. It does not take much effort of your neither it consumes more time. 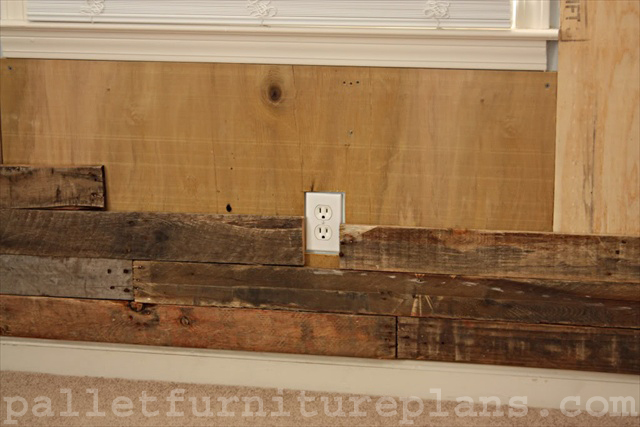 It is a simple idea but very functional only because it is a matter of pallets here. 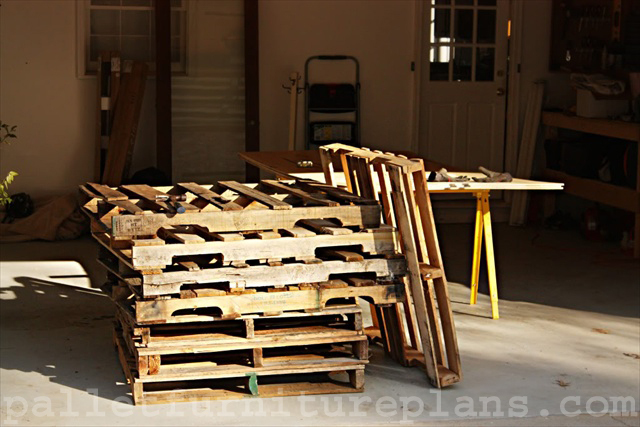 You can find the planks of pallets from anywhere so make sure they are neat and clean before starting the work. It should not have any kind of insect or pest because they will end up spreading around your house so make sure to get the clean ones. 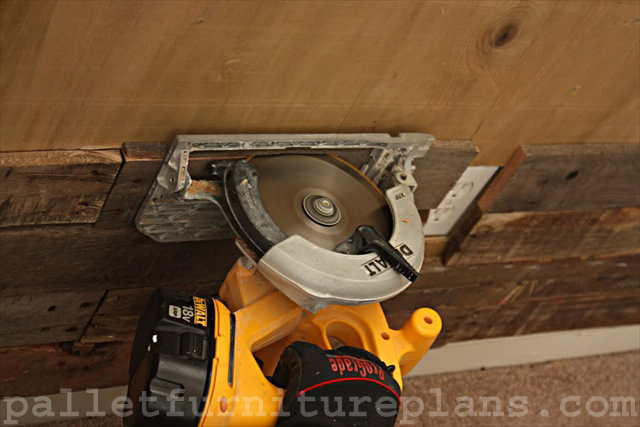 Cut the sheets of the pallets according to the size you want to create the pallet wood wall. They all should be of equal size so that it looks balanced. 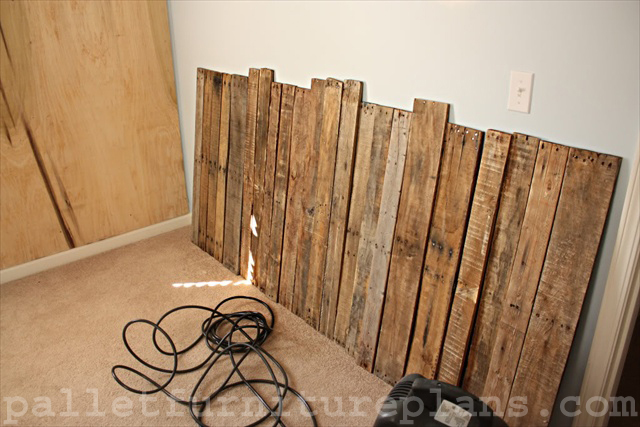 Hang the sheets of plywood so that the area is covered before you put up the finished pallets on the wall. 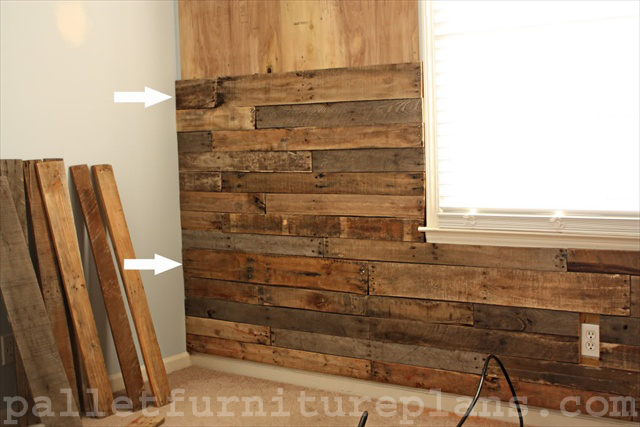 Now prepare the pallet wood that would be put up on the wall. 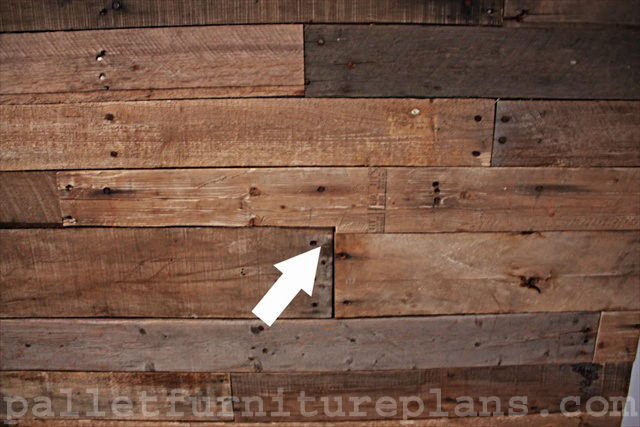 Take out all the screws and nails out of the pallet to make them look clean and neat. 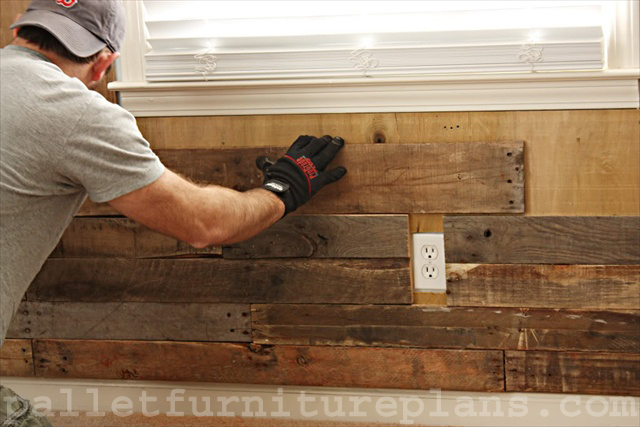 Now nail the pallet wood wall into the drywall. You can nail them in and your work is done. You need to make sure that the edges are smooth so that it does not look rough. 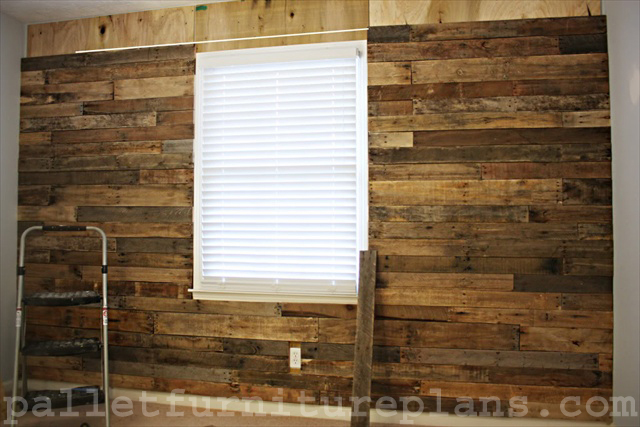 It is simple to make a pallet wood wall you just need to attach them according on the wall and your work is done within couple of hours making the wall look beautiful.